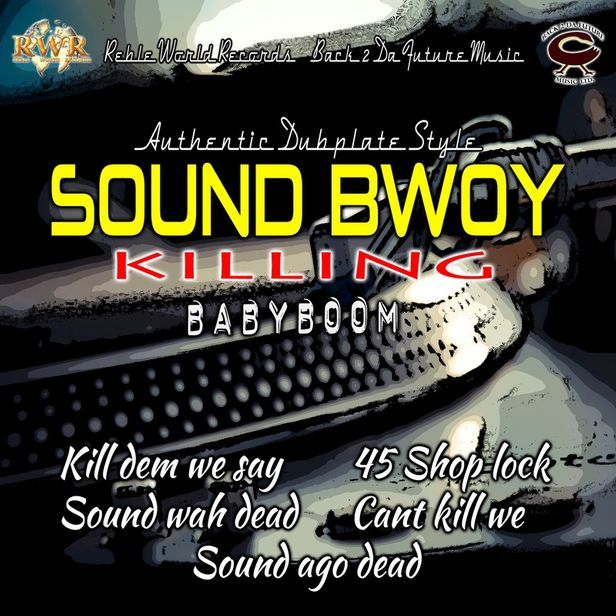 which consists of 5 Sound Bwoy 45 Burial Dubplates by Artist/Producer, BabyBoom. All of these Dubplate 45's are at every sound man, Disc Jockey's disposal. Straight Sound Bwoy killing Dubplates with a modern twist. Babyboom shows his versatility as a Dancehall artist as he can also cater for every sound man in the sound world and this EP insights his talent.
" This is for every sound man weh get caught up in the credit crunch and don't really have the money to buy Dubplates but u can still 'Tun over' a sound with one ah dem 45 ". Platinum kartel playing BabyBoom dub in a clash watch the forward!! Saxon alongside David Rodigan In wembley Forward again!! Platinum kartel live on radio playing BabyBoom dubplate Forward again! !